I am an experienced crafter. I like playing Delve (Depth 1000+) and mapping with my Pathfinders. Explore my network of services in my Trading & Service Center! 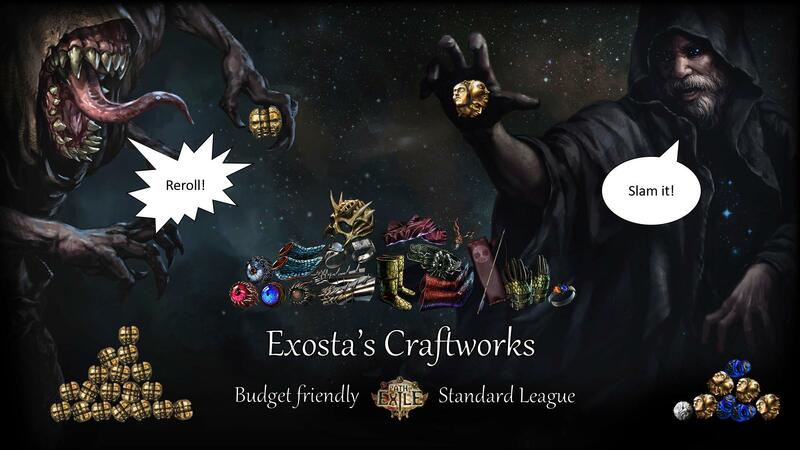 @Exosta Hi, I would like to buy your chaos/exalted orbs for my items in your WTB forum thread! If you enjoyed trading with me please leave a comment in this thread! Get rich selling items to me! Scroll down and open the spoilers to check what I need! How can you find the items? - Flipping: buy for cheap on PoE Trade and resell to me for a net profit! "shop link" will open PoE Trade with the right search form for the item I need! Every item I want to buy comes with a RANKING SYSTEM. The number of stars indicates the level of priority when I buy the items. Priority can change over time: check this thread to be updated on what I need the most! ilvl83 Abyss Jewels have a 100% chance to drop from Abyss Trove in T16 maps. Abysses have a 10% chance to spawn on any map. Sextants and Abyss Zana Mod can add one more Abyss in your maps. Chests in T15/T16 Abyssal Depths can drop ilvl83+ Abyss Jewels. ilvl86 Stygian Vise have a 100% chance to drop from the unique boss of T16 Abyssal Depths. You need to farm maps influenced by shaper or elder. ilvl100 Shaped items can be obtained by trading "Perfection" divination card. That card can drop from any T16 Shaper Guardian. ilvl100 Elder items can be obtained by trading "The Hale Heart" divination card. That card can drop from any yellow or red tier Elder Guardian. I'm one of the top Delve farmer in Standard, so I always need your Niko Missions!